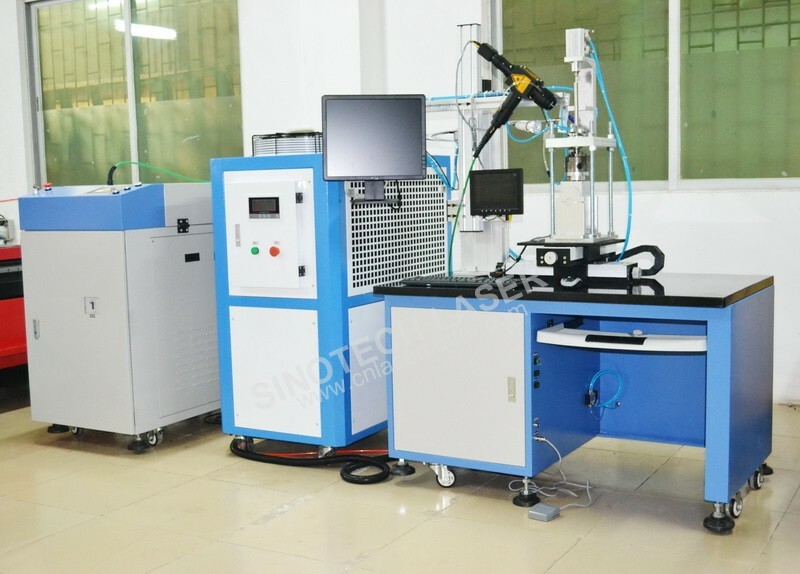 Automatic Laser Welding machines from Sinotech laser can be specially customized the function to fit your needs. High precision Nd:Yag laser welding system with fiber transmission is an ideal tool to weld metals specifically designed for high speed spot and seam welding applications. Thanks to the integrated CNC,user- friendly software,reduced maintenance and precision of the axes are just some of its characteristics achieves higher quality welds and greater productivity. 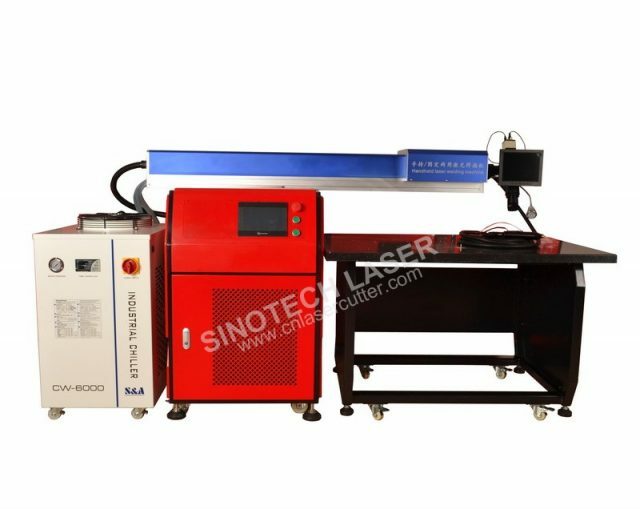 The fiber transmission laser welding machine is a kind of laser welding equipment that couples the high energy laser beam into fiber, collimates to parallel light through collimating mirror after long distance transmission, and then focuses on the workpieces and welds. 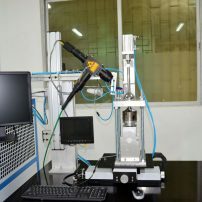 It adopts soft transmission non-contact welding for the parts that are hard to reach and it has much more flexibility. 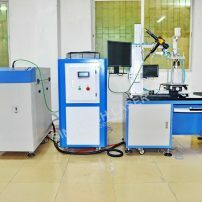 The laser beam can realize time spectroscopy and energy spectroscopy, carry through multi-beam processing at the same time, and provides conditions for more precise welding. 1. Xenon lamp pumped, fiber-coupled output light source, high stability, good beam quality, the welding spot is beautiful with good consistency. 2. 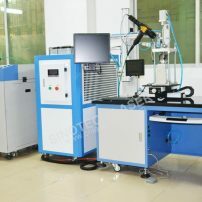 Welding with a few heat-affected area can be done due to that laser welding is “contactless” welding. 3. Employing an optical fiber transmission makes its automation easy. 4. 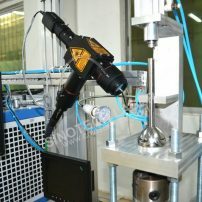 High power oscillator enables high speed seam welding. 6. Easy installation and maintenance. operation skills can be acquired within a few hours. 7. Realizing different functions of the power supply by software control. Quick response and no need any hardware adjustment with good consistency,allows online program and upgrade to match the dynamic characteristics of different users. 8. Real-time monitoring of water temperature, water flow, water level and other error signals,intelligently makes alarms and prompts. 9. With stable current modulated pulse output waveform for long-term trouble-free continuous operation. 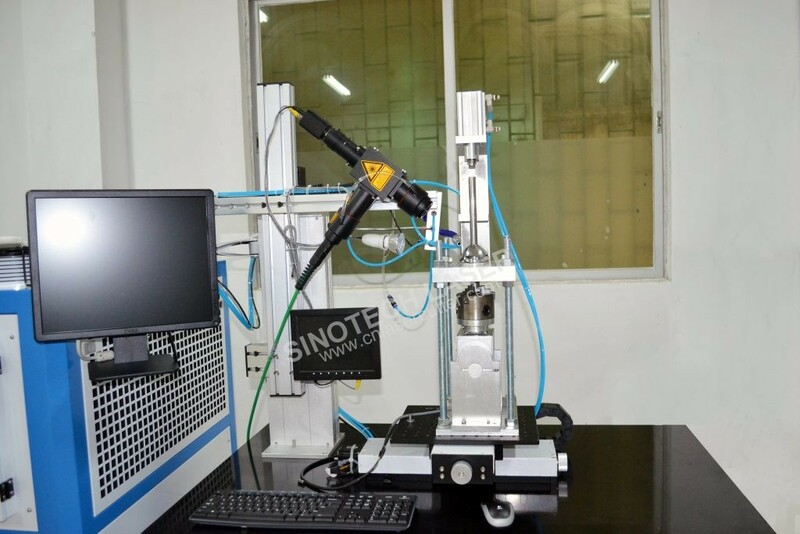 The four-dimensional linkage workbench is driven by CNC motors, The main body part of the workbench adopts the original high-precision linear guide rail and ball screw. Adopts professional coupling, and the work surface is made of high-quality alloy material. 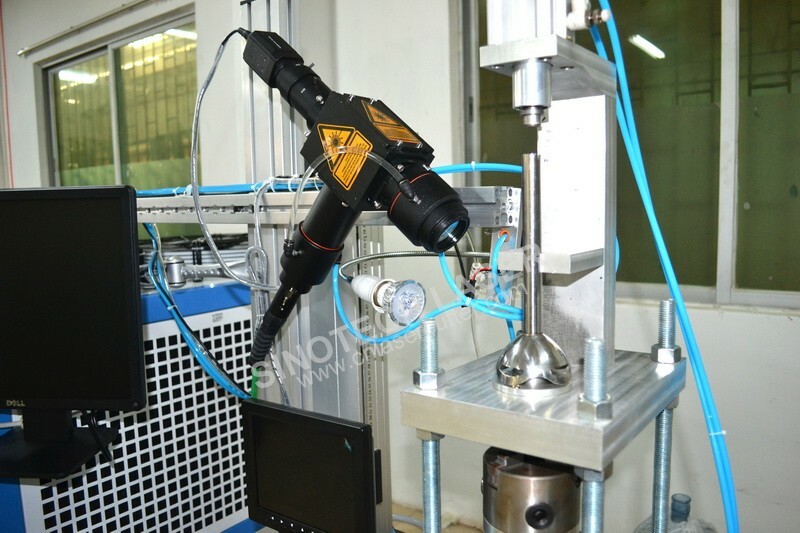 Correlation and protection of the transmission, high-quality buffers are provided at both ends of the X-axis and Y-axis, with limited sensor at both side of the worktable. Computer control, you can go round, arc, circular interpolation, linear interpolation and other relatively complex trajectory movements, intuitive AutoCAD graphics file conversion function (PLT file, DXF file), with visual programming. More complex graphics trajectories can be achieved with PC soldering software. 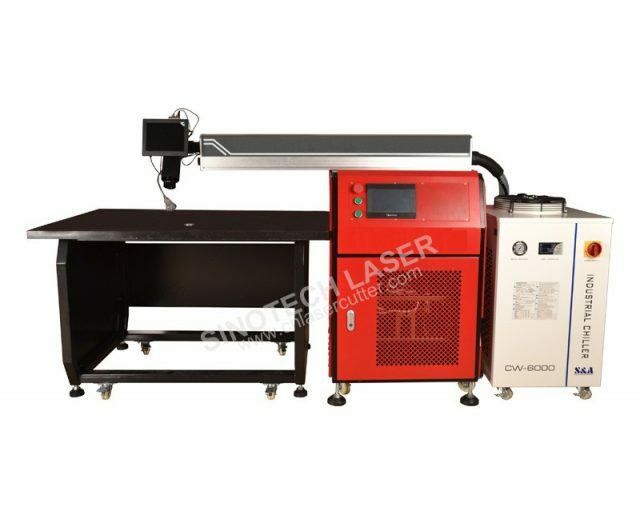 Precision laser welding of various tracks can be realized with the welding machine. 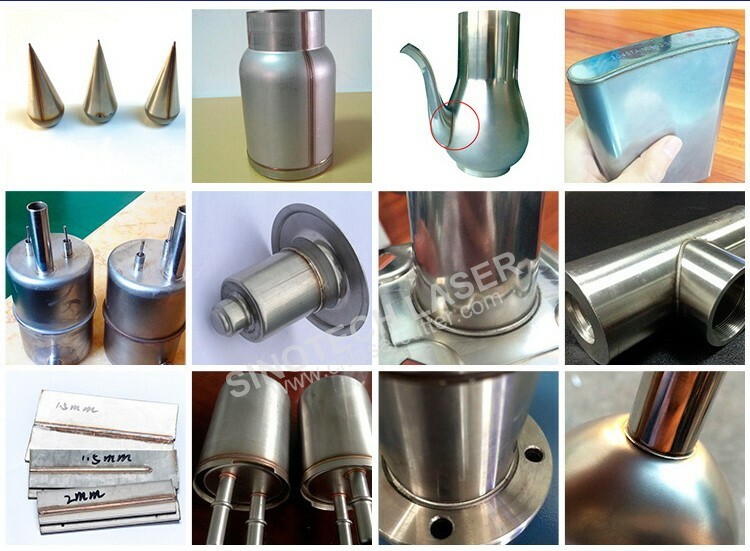 Stainless steel, mild steels, nickel and nickel alloys, titanium, etc. 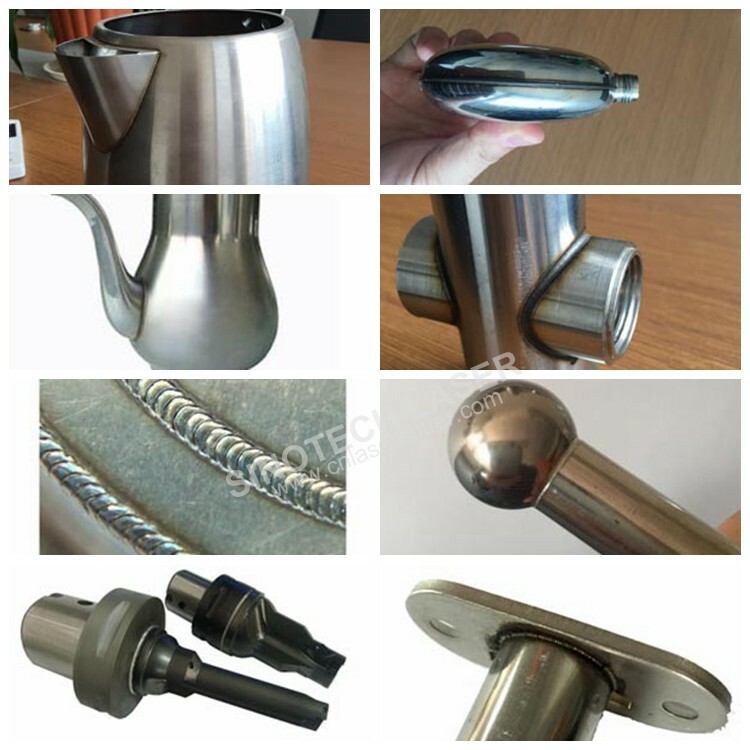 Sanitary ware industry :Laser welding stainless steel water pipe joint, inserted joint pipe, YAG laser welding for Three – way valves,valve,tap, stainless steel sprinkler. 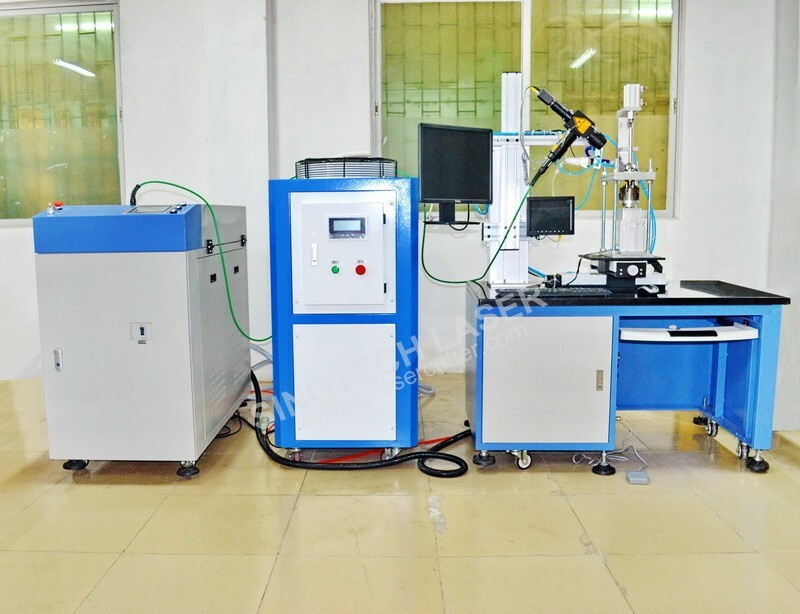 Glasses industry: Automatic laser welding machine for welding stainless steel ,titanium alloy materials glasses buckle position and frame fine welding. 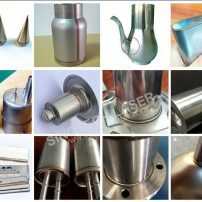 Hardware industry : Customized Laser welding machine for welding Stainless steel door handle, blender, storage rack ,Stainless steel bowl etc. Hot runners,Pad locks,Pressure vessels,Ball bearings,Motor rotors,High speed rotary tools,Pressure Sensor.